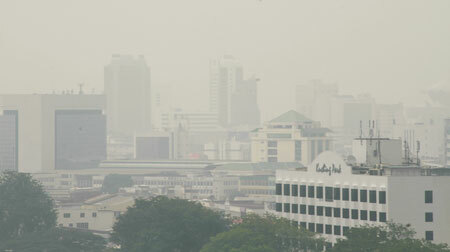 LIGHTS ON: Street lights were already switched on along Jalan Tun Jugah in this photo taken at 4pm due to the haze. 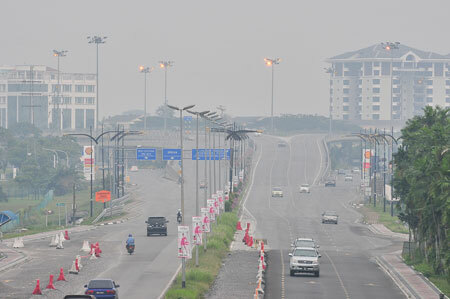 KUCHING: The air quality here remained at moderate level yesterday despite a thick haze enveloping the city’s skyline since morning. Based on the air pollutant index (API) readings released by the Department of Environment (DOE), the API here was 68 at 7am, 79 at 11am and 89 at 5pm. 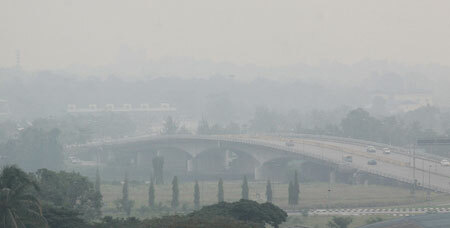 Air quality status is classified as ‘good’ for reading between 0 – 50; ‘moderate’ (51 – 100); ‘unhealthy’ (101 – 200); ‘very unhealthy’ (201 – 300); and hazardous (above 300). Elsewhere in the state the API reading as at 5pm for Samarahan was 80, Sri Aman (72), Sarikei (66), Sibu (54), Kapit (58), Bintulu (64), and Limbang (58). The readings for Miri and ILP Miri were not available. The State Health Department has advised members of the public to stay indoors as much as possible and to cut down on strenuous outdoor activities as there was a possibility of the air quality deteriorating. It said in a statement released recently that common ailments that could be caused or made worse by haze include upper respiratory tract irritations and infections such as coughs and colds, asthma, and irritation of the eyes causing eye discomfort and redness. As such, respiratory masks should be worn by all motorcyclists, people working outdoors, people working in very dusty conditions, and those belonging to high risk groups who have to go outdoors, it added.